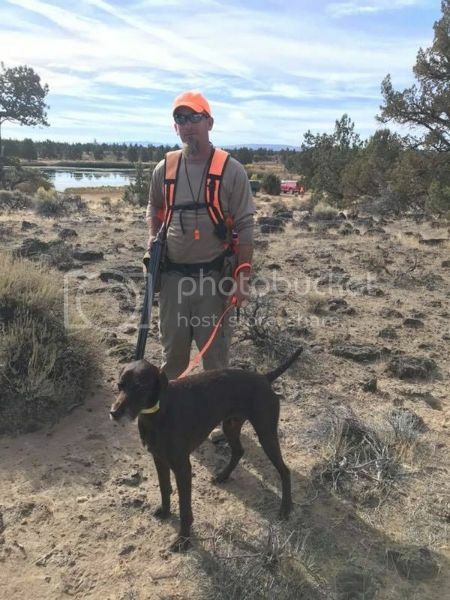 A couple weeks ago I ran my first UT test with my pudelpointer Ranger. To say I was a bit nervous is an understatement that I don't have a witty metaphor to describe. Although I have a seasonal business that doesn't allow me a lot of free time in the summer and a young family to attend to, I did my absolute best to carve out as much training time over the last 3 months as possible, but now realize how naive that was. I definitely recommend more than 3 months training especially since part of that was force fetch! I should also say that our chapter has some great members that helped me train with tips, their own resources and lots of their own time. This part of the process was very encouraging and meaningful to me. Anyway, the day came and although I was feeling optimistic about our chances, Ranger had started to regress on his retrieving. I noticed this about 1.5 weeks before the test day. I tried to clean it up a little, but didn't want to put too much pressure on him right before the test. I knew this meant we were in a pass/fail situation, but still had day dreams of a prize 1. The day of the test seemed to come suddenly even though I had been looking forward to it for months. I woke up at 3:30am and knew instantly I wouldn't be able to go back to sleep. So I went ahead and gathered up our things and drove the hour out to the test site. I let ranger run around for about 1.5 hours in the dark to burn off some energy. By the way...that doesn't really work. He was so freakin amped in the field you would never know he already had some play time that day. Still it was good for me to watch the sunrise as we hiked the hill above the pond. The test started with the field portion. I ran 4th. After I told the judges that they should just relax and have fun without worrying about the days outcome, I let Ranger loose to work the field. First bird went well. I had to whoa him hard after the shot (again...he was freakin amped), but he then held to release and retrieved the bird. The next bird...well, I saw him do better on his na test. As the judge instructed me to start veering to the right, Ranger took off to the left. About 100 yards away I saw he was getting birdy. 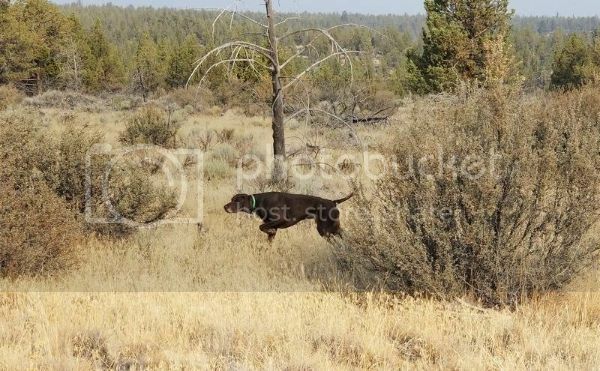 I headed his way not wanting him to have to hold point any longer than necessary and saw a running chukar round a piece of sage brush and then saw Ranger give chase. The bird flushed, and he ran after. We were done. We did have another solid point, only to have the bird not flush well due to the fact it was a bird that had been shot earlier. The judges decided to not count that bird. I was pretty bummed, but figured it took some pressure off of the rest of the test. I didn't have anything riding on the test besides desiring a better hunting dog anyway. The duck drag went well, but I had to step to him right before he dropped the bird. He also dropped the duck just short of me on the long retrieve. So we ended up with 2's in those. The duck search did not go as well as it had in the last half dozen training days, but I knew it wasn't going to be the low point of the day either. He searched well at first, but then came back and looked for instruction. I never resent him, but he also never ranged out again as much as I would have liked. Steadiness by the blind was good. When the time to read scores finally came around, I held out a small chance that somehow we could eek out a prize 3, but felt that was a stretch. The verdict: a 138 prize 3. Now...don't misread this. Although I was very happy to not fail the test, I realize this is a very low prize 3. I know that Ranger has done better work in every category, but the biggest worry for the day was that he could put a whole test together without totally falling apart in one section or another. While it wasn't his best work in any category, he did manage to do well enough to not totally fall apart. It was a big victory for him and I in my very novice experience in dog training. In the end I have a much better hunting dog than I had 3 months ago and really enjoyed the whole process. If you haven't ever run a dog in Utilty, I encourage you to try. It will push you to train more and harder. Plus, it's a ton of fun...sort of. There is hunting, and there is testing, and sometimes a dog will do both well on a given day, and sometimes it won't. I firmly believe the dog knows the difference between the two. Once had a Griffon that had a lot of ducks shot over him, but in two different UTs, with perfect scores up to that point, he failed at the water. I knew he knew where the duck was, he just wasn't motivated to get it. At the second test, after the second send, and him coming back without the duck, the judge told me that portion of the test was over. I asked if I could send him one more time, knowing he had already failed. The judge said ok. Let me describe the situation. 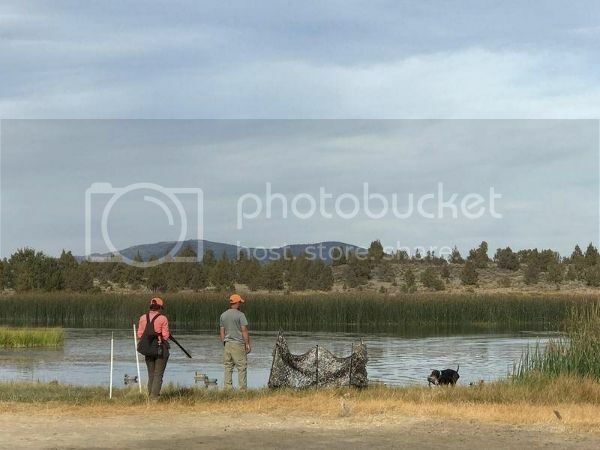 There was an island in the middle of a pond and they had tied fishing line to a shackled duck and reeled him from the release site on one side of the pond, over the island, and to the other side. The assistant on the other side of the pond was to untie the duck when he saw the dog headed his way so he could retrieve it. My dog had never gone past the near side of the island in the two previous attempts. So I grabbed the dog by the collar, shook him slightly, and told him firmly "Fetch!" He took off like a shot, swam to the island, tore over it in a flash, and soon returned with the duck, trailing the fishing line! The assistant later explained "I couldn't get the duck untied fast enough, so I just free spooled the reel." The head judge told me with a smile, "Your dog doesn't like tests!" He was right. While it would have been nice to earn a Utility prize, the lack of one didn't make that dog any less of a hunter than the great one he was. And if he had received a Prize 1, he wouldn't have been any better either. Sounds like the test conditions didn't help Ranger in the field work. Stuff happens. Where was the test? Pretty country. Typical Griff. They just want to hunt. I think they'd be more inclined to do a 4 duck search if they were never trained. Gets boring real fast with them. A good case could be made that field tests are created to test the handler's sense of humor and adjust humility levels .. maybe there ought to be 'handler mental conditioning training' ?? That said, I'd say you came out in fine form. You did PASS, which isn't a bad thing if is the best you and the pup had ever done, and definitely not a 'thing' on the 'Test day when the wheels came off', or points in between. "While it would have been nice to earn a Utility prize, the lack of one didn't make that dog any less of a hunter than the great one he was. And if he had received a Prize 1, he wouldn't have been any better either." FT - I like that. Well said. ORH- The test was in Central Oregon. Just east of Bend. The grounds are great for water, but the field is pretty rough. Ranger is definitely a dog that wants to hunt and can get bored or overwhelmed with repetitive training. That was a good lesson for me to learn. My desire to run this dog again has more to do with me wanting to improve as a trainer and handler than it does about proving a particular score. Still...I do want to do better. Wonder if my wife knows how much I spent on fuel/birds? Now on to hunting season!!! We are going out this weekend. 2 pudelpointers, 1 griff, 1 wirehair and 1 braque francais. If there are birds...we will find them. Congrats on the pass, Jeremy. Getting a UT pass, regardless of score, is a great accomplishment for a first time UT handler and dog. It is gives you both a great foundation to build on heading into hunting season, and if you run him again next year you should have a realistic shot at a prize 1. Good luck! Congratulations on your Pass and enjoy your Hunting Season.